The Department of Adult and Pediatric Diagnostic Radiology, Interventional Radiology at the University Hospital Tuebingen offers the full range of services in these fields. It conducts all types of modern imaging studies: sonography, digital X-ray, angiography, multilayer computed tomography and conventional MRI, positron emission tomography (PET/CT), etc. The department also specializes in minimally invasive treatment of various tumors, vascular pathology (obstruction and vascular stenosis). The Section of Experimental Radiology is engaged in active research to optimize existing methods and develop new ones. The Chief Physician of the department is Prof. Dr. med. Konstantin Nikolaou. He is one of the best German doctors in the field of his specialization. He has extensive clinical experience, excellent qualifications and is a member of many national and international professional medical societies. Since 04/2014, Head of the Department of Adult and Pediatric Diagnostic Radiology, Interventional Radiology at the University Hospital Tuebingen. 04/2007 - 03/2014 Managing Senior Doctor and Deputy Director of the Institute of Clinical Radiology at Ludwig Maximilian University of Munich, Grosshadern Clinic. 11/2009 - 03/2014 Head of the Section for Magnetic Resonance Tomography, Institute of Clinical Radiology at Ludwig Maximilian University of Munich. 10/2006 - 10/2009 Head of the Section for Computed Tomography and PET-CT, Institute of Clinical Radiology at Ludwig Maximilian University of Munich. 02/2002 - 09/2006 Research Assistant, Institute of Clinical Radiology at Ludwig Maximilian University of Munich. 08/2000 - 01/2002 Intern, Institute of Clinical Radiology at Ludwig Maximilian University of Munich. 10/2016 DEGIR II Certification, German Society for Interventional Radiology, Level II. 12/2015 Visiting Professor at the Memorial Sloan Cancer Center, New York. 07/2014 Expert Diploma in Cardiac Imaging Diagnostics, European Society of Cardiac Radiology (ESCR). 04/2014 Appointed as a Full Professor at the Eberhard Karls University of Tuebingen. 02/2014 Master of Health Business Administration (MHBA), Friedrich-Alexander University Erlangen-Nuremberg. 01/2012 Appointed as a Visiting Professor at the Faculty of Medicine at Ludwig Maximilian University of Munich. 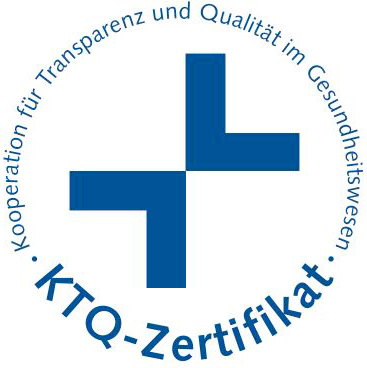 03/2011 Additional specialization in the field of Medical Quality Management (Bavarian Medical Association). 11/2007 Habilitation. Subject: "Methodological development and clinical evaluation of contrast-enhanced multilayer computed tomography in the diagnosis of coronary heart disease", Ludwig Maximilian University of Munich, Institute of Clinical Radiology (Prof. Dr. med. Dr.h.c. Maximilian F. Reiser). 06/2007 Medical Specialist in Diagnostic Radiology (Bavarian Medical Association). 02/2002 Admission to medical practice. 10/2000 Thesis. Subject: "Non-invasive imaging of the coronary arteries by magnetic resonance imaging and electron beam tomography and their diagnostic value in comparison with selective coronary angiography" (with honors), Ludwig Maximilian University of Munich, Institute of Clinical Radiology (Prof. Dr. med. Dr.h.c. Maximilian F. Reiser). 25 Works in the books. 2015 Education Prize (Bester Newcomer), University Hospital Tuebingen. 2013 Magnetic Resonance Imaging Award. 2013 15th International MRI Symposium. 2010 Honorary Member of the Greek Society of Radiology. 2001 Young Investigator Award, North American Society of Cardiac Imaging. 1993 - 2000 Scholarship for talented doctors of the Free State of Bavaria. Since 2018, Member of the International Society for Strategic Studies in Radiology (IS3R). 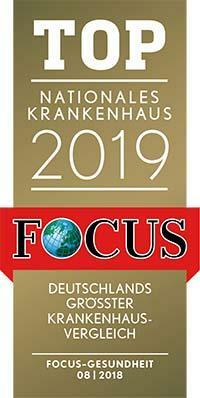 Since 2018, Member of the Editorial Board, Innovations in Radiology and Imaging Diagnostics (RÖFO). Since 2017, Board Member of the German Society of Radiology (Scientific Coordinator). Since 2017, Member of the Research Group of the Medical Faculty of the University of Tuebingen. 2016 - 2022 Dean for Research (clinical studies), Dean of the Medical Faculty of the University of Tuebingen. 2016 - 2018 Executive Board Member, European Society of Hybrid Imaging (ESHI). 2016 - 2018 President, European Society of Molecular and Functional Imaging in Radiology. 2016 - 2018 Member of the Research Committee, European Society of Radiology. 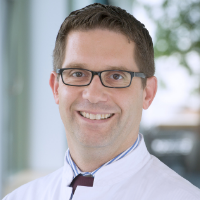 Since 2016 Executive Board Member, Comprehensive Cancer Center, University Hospital Tuebingen. Since 2015, Member of the Advisory Board of the SFB/Transregio 125. Since 2015, Board Member, Center for Personalized Medicine, University Hospital Tuebingen. 2014 - 2019 Executive Board Member of the European Society of Cardiac Radiology (ESCR). Since 2014, Member of the Radiology Examination Commission, Medical Association of the State of Baden-Württemberg, Regional Medical Association South Württemberg. 2014 - 2016 Vice President of the European Society of Molecular and Functional Imaging in Radiology. 2014 - 2016 Representative, QIBA European Task Force (Alliance for Quantitative Imaging of Biomarkers). 2013 - 2015 Delegate, European Society of Radiology, Structured Reporting Initiative (RSNARadReport): ESR eHealth and Informatics Subcommittee. 2013 - 2019 Member of the Scientific Advisory Board of the European Institute for Biomedical Imaging Research (EIBIR). 2012 - 2014 Official Member of the Munich Advanced Photonics (MAP) Centers of Excellence. 2012 - 2014 European Society of Radiology, Member of the Strategic Review Committee. 2012–2014 Member of the Executive Committee "Functional Imaging" of the European Society of Molecular and Functional Imaging in Radiology (ESMOFIR). 2011 - 2014 Executive Board Member of the European Society of Cardiac Radiology (ESCR). 2010 - 2013 ISMRM Committee Member, Committee of Clinical Growth. Since 2010, Member of the Expert Committee "Clinical Studies" of the German Society of Radiology. Since 2009, Regular Reviewer of the German Research Society (DFG). Member of the German Society for Radiology (DRG). Member of the Working Group on the Diagnosis of the Cardiovascular System (DRG), Coach Status, level Q3. Member of the Working Group on the Diagnosis of Thoracic Organs (DRG). Member of the Clinical Research Working Group (DRG). Member of the Working Group on Oncology (DRG). Member of the European Society of Radiology (ESR). Member of the European Society of Cardiac Radiology (ESCR). Member of the European Society of Molecular and Functional Imaging (ESMOFIR). Member Radiological Society of North America (RSNA). Member of the International Society of Magnetic Resonance Tomography in Medicine (ISMRM). Member of the Association of Teachers of German Universities (DHV). Member of the Marburger Bund. Department of Adult and Pediatric Diagnostic Radiology, Interventional Radiology.